According to The Hollywood Reporter this morning, Warner Brothers’ unsurety about Wonder Woman’s success may end up costing them big. While star Gal Gadot had been locked into several appearances as the Amazonian superhero including Wonder Woman 2, director Patty Jenkins was given a one-picture deal. The website says that’s “…standard practice at Warner Brothers for directors taking on a big-budget studio film for the first time.” And that does make sense; though fans hoped that Wonder Woman would be good, there was no guarantee that it would warrant a sequel. For that matter, over on the super-successful Marvel Cinematic Universe side, it was a while before Marvel Studios felt confident enough to sign directors to multi-picture deals. Though Jon Favreau returned for Iron Man 2, he stepped back from directing after that. Kenneth Branagh did not come back for Thor: The Dark World, and Joe Johnston was replaced after Captain America: The First Avenger. It was only when Joss Whedon came onboard for The Avengers that a solid multi-year deal was put in place, as Kevin Feige was looking for long-term creative input, and Whedon had a long track record of orchestrating massive narratives, though not a track record for directing films. With a jaundiced eye, we should all also remember that the DCEU slate is also in flux. The only two films we can guarantee happening right now in addition to the just-opened Wonder Woman are November’s Justice League and 2018’s Aquaman, because we’ve already seen set photos. The Flash is in a state of chaos, nobody talks about Cyborg or Green Lantern Corps at all, and Dwayne Johnson claims that he’s going to appear as Black Adam somewhere but that doesn’t mean Shazam!. Also somewhere in there, on fairly solid but still not guaranteed footing: Justice League Dark, but that one, like The Flash, has already lost two directors. Interestingly, though Batman v Superman: Dawn of Justice was semi-positioned as the first of a trilogy that would carry through Justice League and Justice League Part 2, Warner Brothers has quietly stopped talking about that. Oh, I’ll throw in one more guarantee — a Wonder Woman 2, because Wonder Woman is no more or less flawed than any other good superhero movie, and where it’s good, honestly, it’s better. As most fans would attest, Jenkins is a huge reason Wonder Woman’s success — bringing heart and emotion even to the slow-motion violence that had become a trademark of the cinematic DC Extended Universe. She and her agents are in a terrific position to make a good deal. (Let me also say that, yes, screenwriter Allan Heinberg contributed a great script, but Jenkins really had the vision.) Warner Brothers should make a deal to get Jenkins back, and most likely will, because they have historically been loyal to successful directors. That’s how Zack Snyder ended up on Man of Steel and Justice League. 300 and Watchmen were both single picture deals, successful enough for Warner to take a chance on Sucker Punch. It wasn’t until Man of Steel, though, that Snyder got a 3-picture deal, to include… Man of Steel 2 (which morphed into Batman v Superman in a hail mary) and Justice League. Officially, Man of Steel 2 is somewhere in the future, but nowhere solid. 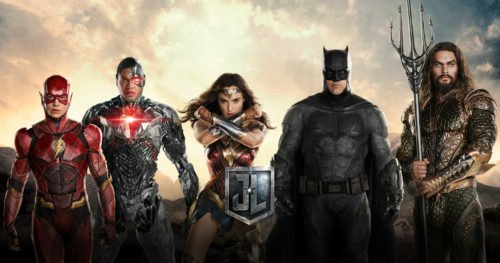 And we’re back to the flux, where 2019’s original slate has disappeared and replaced by a rumored Year of Gotham, in which we’d see Batgirl (directed by Whedon, who has stepped in to finish Justice League after Snyder had to step down due to personal tragedy), Gotham City Sirens (directed by David Ayer), Nightwing (directed by The LEGO Batman Movie director Chris McKay), and The Batman (directed by Matthew Reeves). Oh, and some cast members from Suicide Squad claim they’ve heard that they’re going to be in Suicide Squad 2. So here’s a thought, Warner Brothers. Bring Patty Jenkins on, put her in a room with Whedon and head of DC Films Geoff Johns, and let the three of them actually plan what’s going to happen to the DCEU. Johns probably has a pretty solid vision in his head already, but with Jenkins’ “surprise” success, and the likelihood that Wonder Woman is absolutely crucial to the future for DC Films, her voice had better be heard. And Whedon? Well, you know, he really is good at this sort of thing.